Star Plus' much awaited show Ek Bhram Sarvagun Sampanna is all set to hit the screens but the show is already creating a lot of buzz. Now, once again, the show is in the news as the makers land into a new trouble. 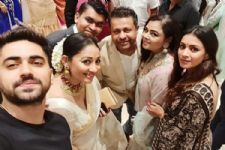 Shrenu Parikh and Zain Imam starrer show is a thriller drama which shows Shrenu as an ideal daughter-in-law who is perfect in every way but has ill intentions against her family. After the first trailer was dropped, Shrenu's expressions and wonderful performance left the viewers amazed. However, it was the story-line which gave rise to speculations about the story being based on true events. According to a report in a tabloid, the makers of the show are getting threat calls from influential families who fear that their secrets will be revealed to the world. Some high-profile families called to interrogate if the story was related to their families since the first promo was released. The story is indeed inspired from a true story. However, the makers are not willing to reveal anything about it. Also, they have signed an NDA with the cast and crew, who have been told to remain tight-lipped about the offering. Talking to India-Forums Shrenu said, "I have no idea about this. It's news to me!" 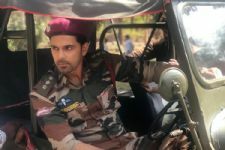 Meanwhile, the makers dropped another promo which features other actors like Zain Imam, Tina Philip, Ayub Khan along with Shrenu. This is a publicity stunt!!!! Please come up with something new!!! phenomenal actress! I'm 100% sure she will rock as Janhvi Mittal! MARKETTING STUNT by this PRODUCER and Production House...to generate curiosity and interest in this serial. It's such a Cliche subject everyone knows it. Stupid PR trick to draw audience.